Cardstock, approx. 9-1/4" x 4-1/2", folded twice. 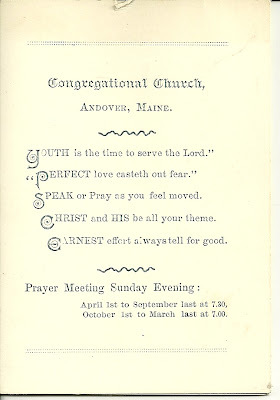 Congregational Church, Andover, Maine; contains information for services and activities from January 1 to July 1, 1903. 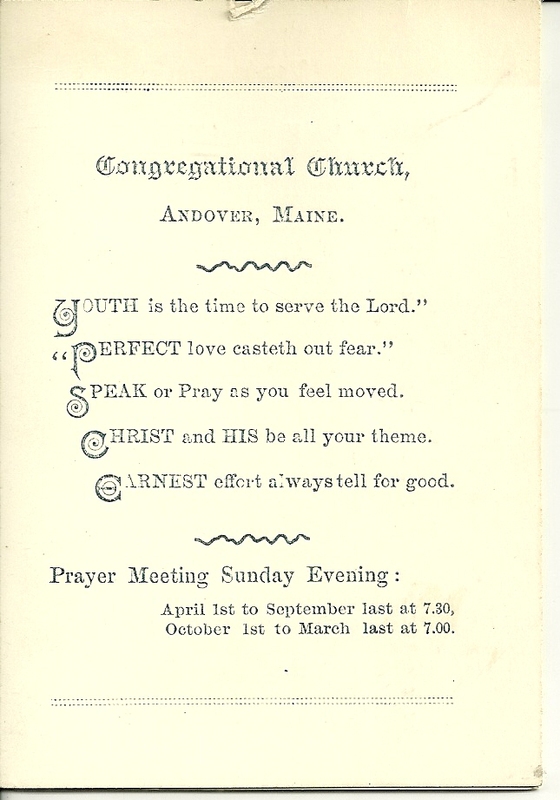 Two panels contain names of parishioners, transcribed below. Click on the two scanned images below to see the entire image. Hopefully some of these names will resonate with you. Thanks for stopping by!